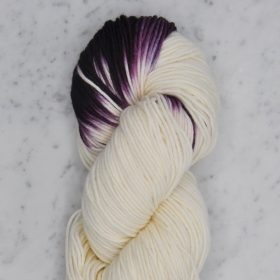 Swans Island's Dip Dyed Collection features their beloved 100% organic Washable Wool DK weight yarn, dipped to varying degrees in their rich custom dye baths. Each skein is entirely unique and intriguing, with variable patterns emerging as the yarn is worked up – a constellation of possibilities awaits with this lovely new collection. 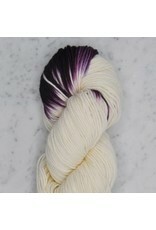 The resulting collection of 16 complimentary yarns can be mixed and matched with each other, as well as the solid colored Washable Wool DK weight yarns. Little Dippers are mostly natural white with a burst of color.